Remember how I gushed over Mandaue Foam‘s furniture here? Well, if you missed their big anniversary blowout, then, you’re in luck!!! They have another one coming your way! Spruce up your living room with your dream sofa! I’m eyeing that L-shaped sofa! Huge discount right? 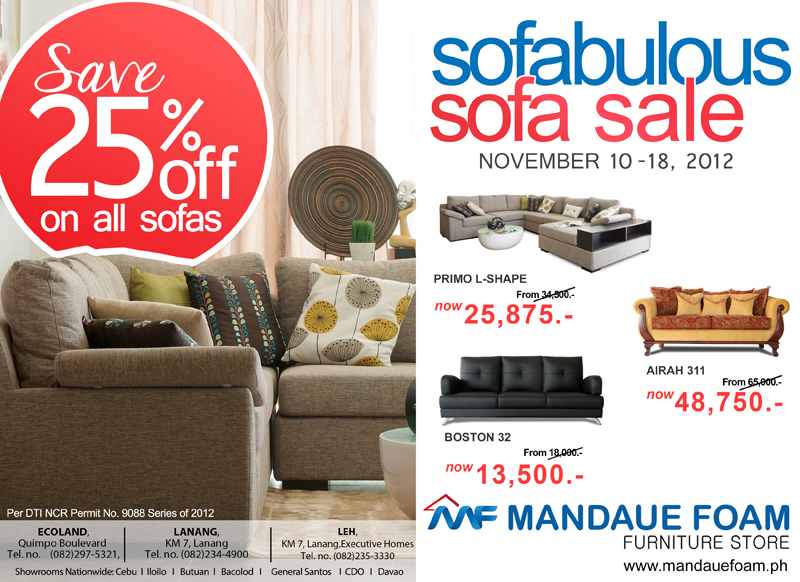 Get this and more awesome deals at Mandaue Foam‘s branches from November 10-18! You can view the list of their branches here. Take advantage of the sale! colaborating with Heim interiors for your new space..pls post it ate.